This is a battery operated clock. 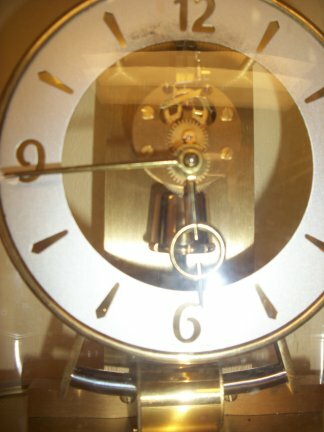 This clock is called a "Slider" because the pendulum slides from one side to the other. 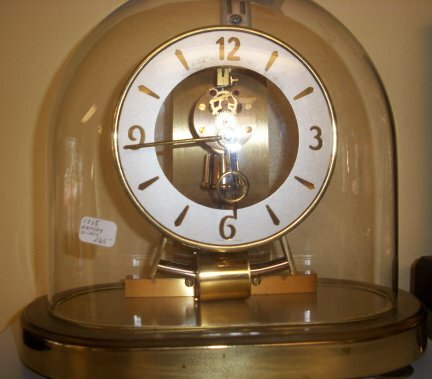 The case is all brass with glass on all sides so you can see the clock run.